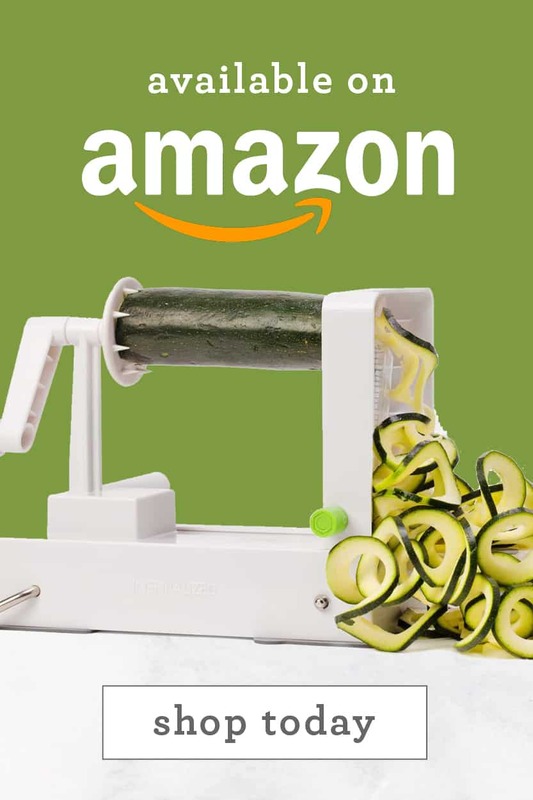 What comes to mind when I say “cucumber?” If any of those thoughts include “boring,” “blah,” “meh” or “tasteless,” then you’re going to be pleasantly surprised. Truth be told, those are all the words that used to come to mind when someone said cucumber to me. That is, aside from a sea cucumber, of course. Have you ever seen a sea cucumber? Totally strange. 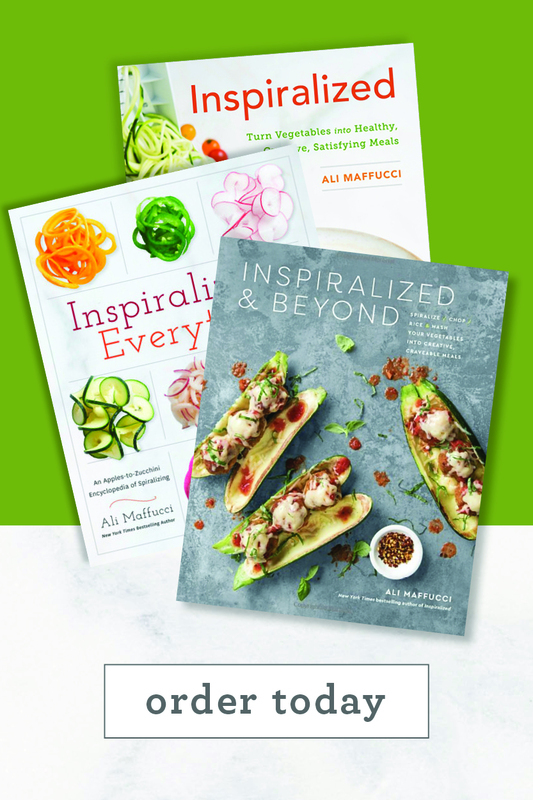 Cucumbers are made up of 99% water, so, while that is refreshing, it’s not ideal when combining with sauces or vinaigrettes. 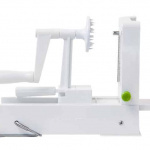 To avoid a sloppy mess, there’s a trick: pat down the noodles right after spiralizing to remove excess moisture. 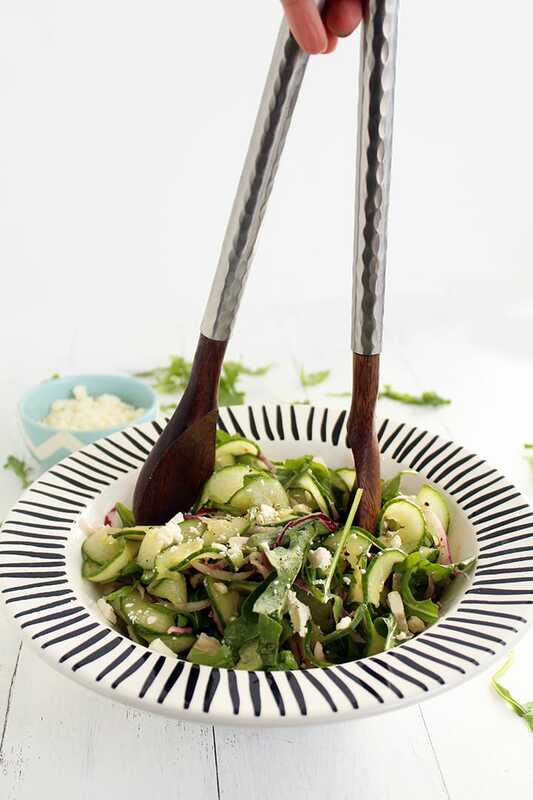 – Toss them in salads to avoid that boring sliced or chopped cucumber rut. – Add them to a glass of water to add a refreshing cucumber flavor. 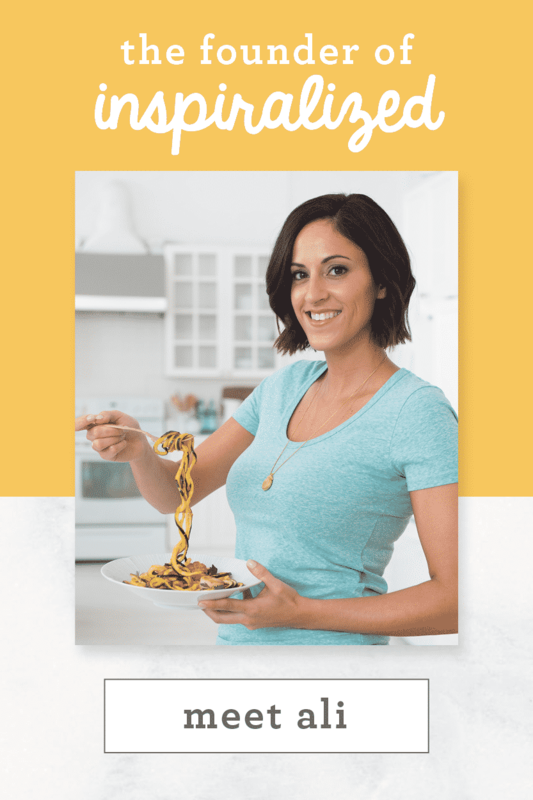 – Use them as replacements for noodles, as in this recipe. – Enhance a pasta salad with the noodles, as in this recipe. Lastly, they work great as salad bases! Today, we have a very simple recipe that’s so crunchy and refreshing, you won’t believe you’re eating cucumbers. The cucumbers (once patted dry) become coated in this red wine oregano vinaigrette and take on a smooth consistency with a flavorful bite from the acidic red wine vinegar. Plus, the feta, arugula and onions (which are also spiralized!) add more light heartiness to the recipe. I love baby arugula in salads – it’s just enough greens. If you use regular arugula, I think those darned leafs try to steal the spotlight from the cucumber noodles. 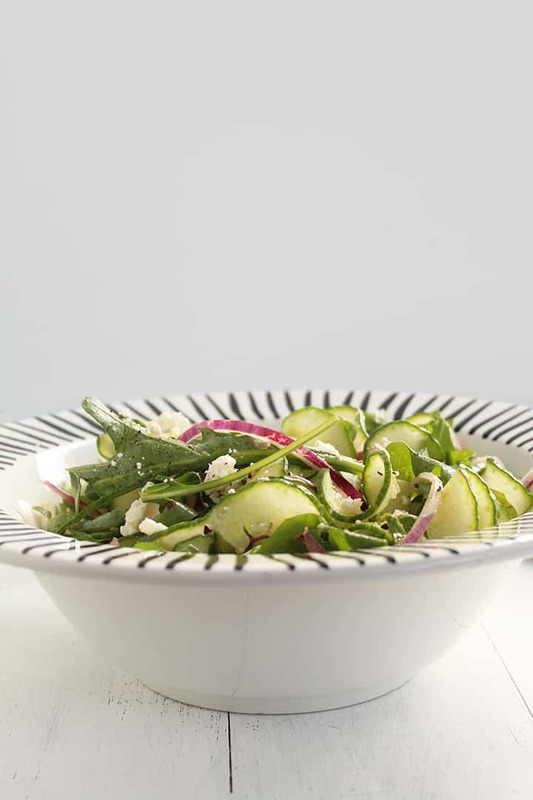 This salad is amazing and actually refrigerates very well (it’s been tested, by yours truly). Toss this with some chilled shrimp, chicken or even some chickpeas and you’ve got a light lunch. When someone asks you what you’re having for lunch and say “a cucumber salad,” be prepared for strange looks. But you’ll the one that will be laughing all the way to your bikini! 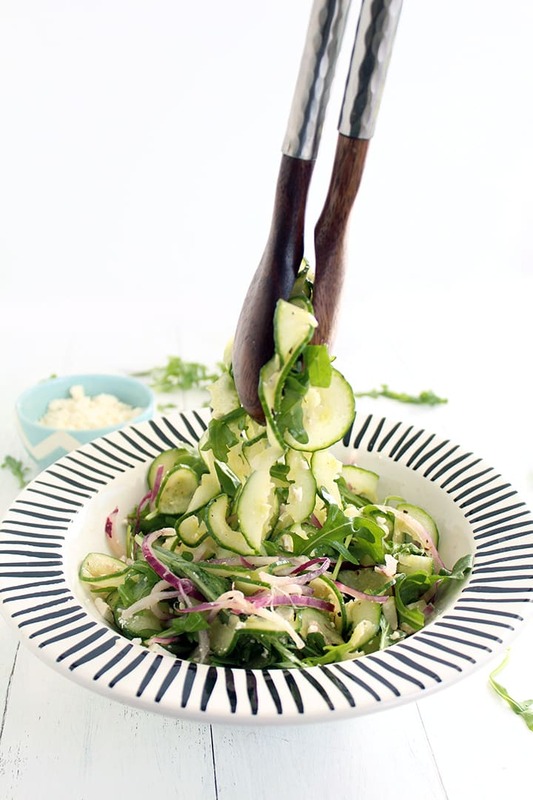 WARNING: This cucumber noodle salad will immediately cause a jonesin’ for summer! How do you like to eat your cucumbers? 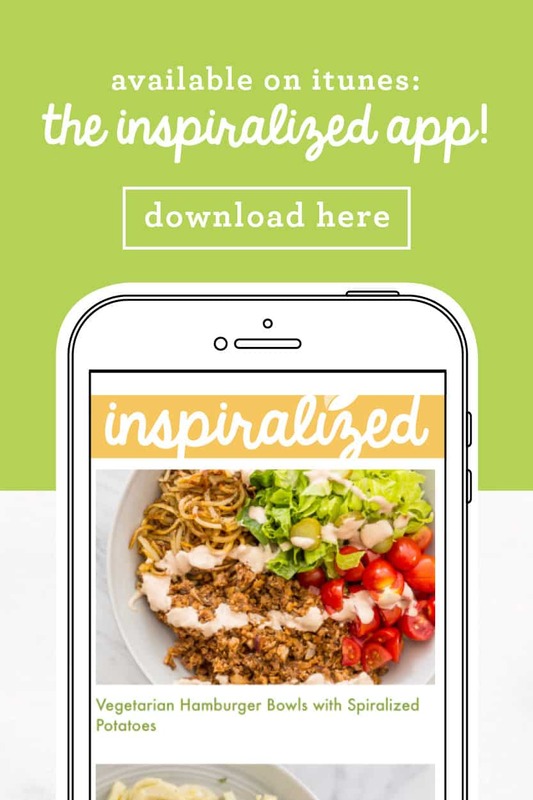 Have you ever spiralized them? Place all of the ingredients for the vinaigrette into a bowl and whisk together. Set aside. Place the cucumber noodles on top of two sheets of paper towels. On top, place another two sheets. Lightly press down onto the noodles to absorb the moisture. Pat dry and then place in a bowl. 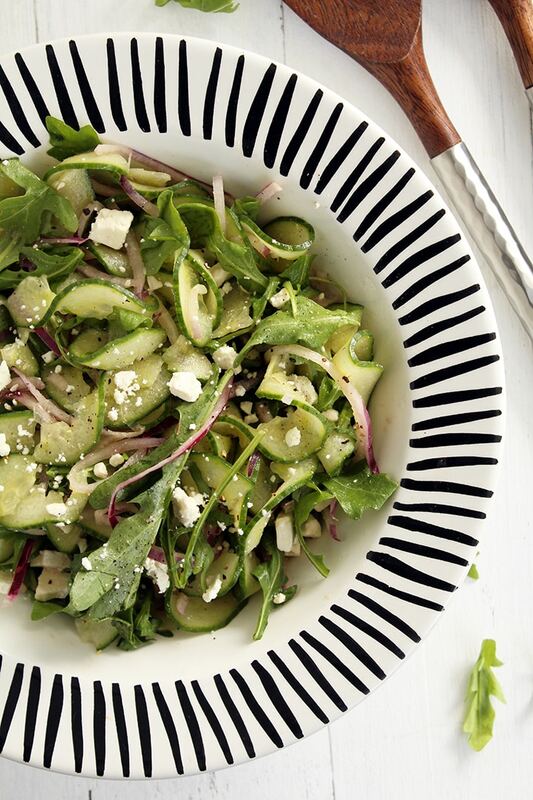 Add the baby arugula and onion to the cucumber noodles and toss to combine. Then, add in the vinaigrette and toss again to combine. Add in the feta, lightly toss and transfer to a serving bowl or platter. Hi! 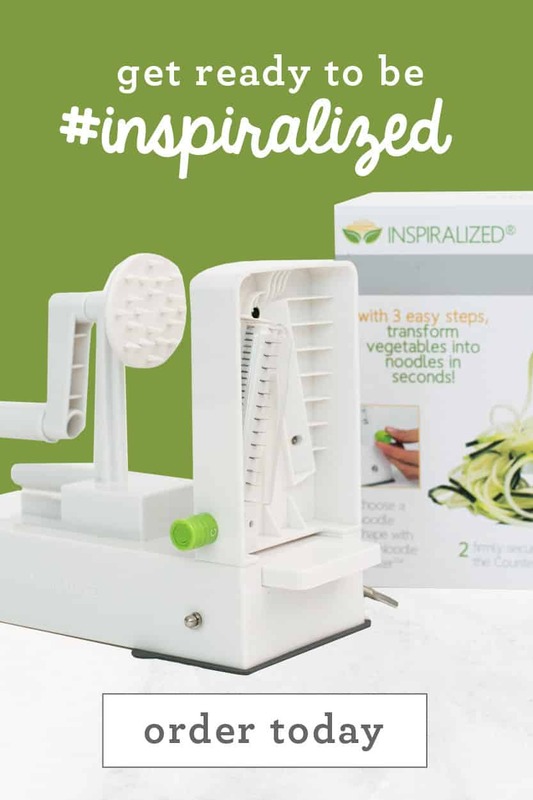 I found you through pinterest having just purchased my spiralizer and looking to try many many new recipes. 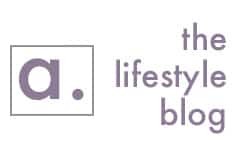 I just wanted to say you are and this blog is FANTASTIC. I have not stopped talking about this blog for the last 5 days!! Do you think spinach might work as a substitute for the arugula? I always have spinach on hand...not usually arugula though! Keep up the great work! Thank you so much, you're so kind! Yes, spinach works fine - just try to have baby spinach! UM yummm! 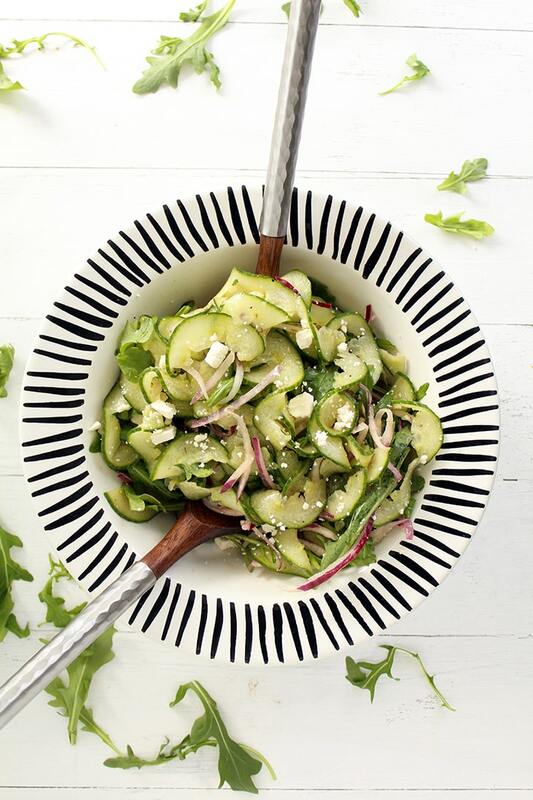 I love cucumber salads, and with feta?! Yes!!! Just prepare the cucumber noodles separately and you can keep it prepped for longer! It would probably only last 1-2 days in the fridge, due to excess moisture. 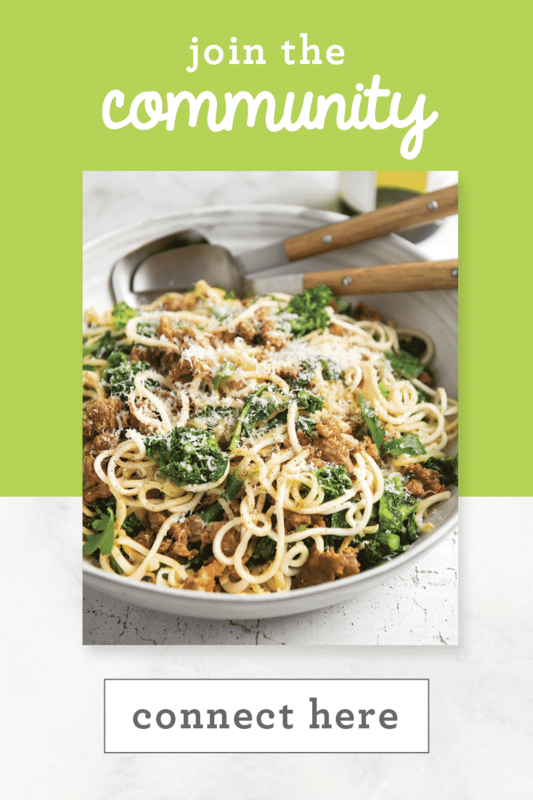 This recipe, which I found in your wonderful cookbook, has become one of my new favorites. I can't stop making or eating it. Thank you for this perfect summer salad!